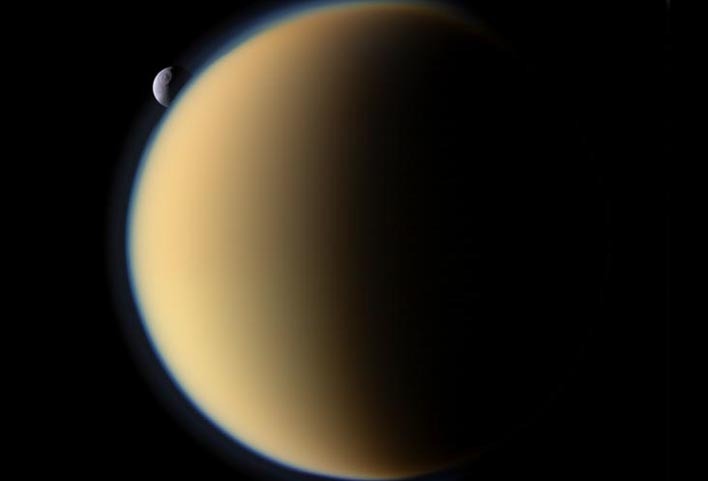 Saturn's moon Titan may be more similar to an Earth-like world than previously thought, possessing a layered atmosphere just like our planet, researchers said. Titan is Saturn's largest moon, and is the only moon known to have a dense atmosphere. A better understanding of how its hazy, soupy atmosphere works could shed light on similar ones scientists might find on alien planets and moons. However, conflicting details about how Titan's atmosphere is structured have emerged over the years. The lowest layer of any atmosphere, known as its boundary layer, is most influenced by a planet or moon's surface. It in turn most influences the surface with clouds and winds, as well as by sculpting dunes. "This layer is very important for the climate and weather — we live in the terrestrial boundary layer," said study lead author Benjamin Charnay, a planetary scientist at France's National Center of Scientific Research.